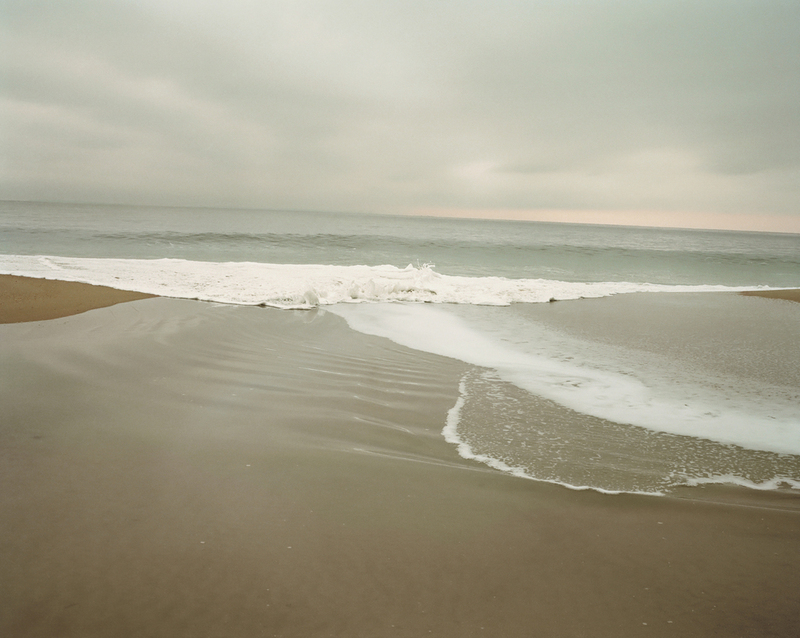 511 GALLERY is pleased to present MOMENTARY: The Beaches of Sagaponack Photographs by Tria Giovan, photographs of a three-mile stretch of beach on the eastern end of Long Island shot over ten years and four seasons. 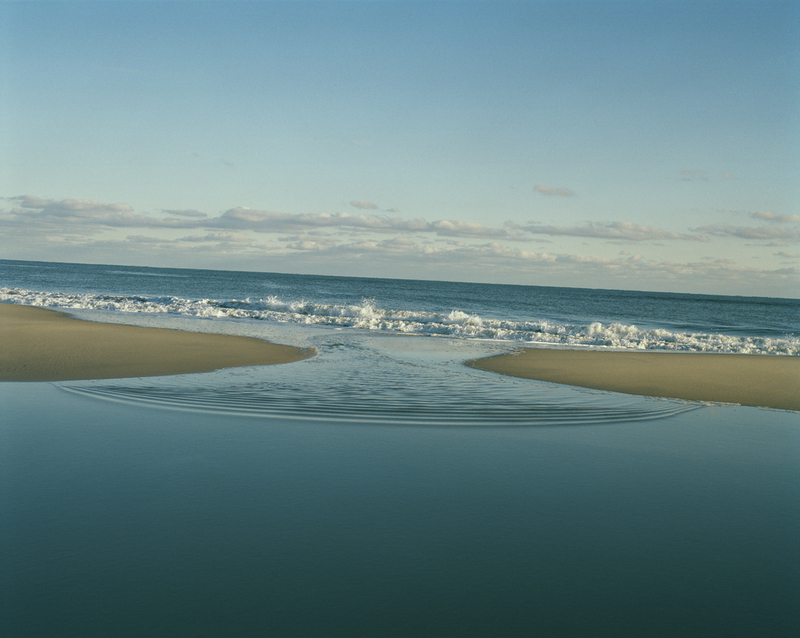 MOMENTARY features eight large color photographs from Giovon's extensive project, ten-thousand images of Sagaponack's shoreline. The works in the exhibition begin in the late nineties with High Tide Winter 1999 and end withRain 1 Summer 2010. Each photograph contains its own mix of sand, ocean, wave, and sky. Occasionally, Giovan excludes one of the elements. Grey 2 Winter 2009 shows no trace of a beach - only a foggy sky, the low, even curl of a wave, and an indistinct horizon line. Swoosh Spring 2006 conceals the sky, focusing instead on a sand bar and foamy variations of a single wave within the sweeping tide. The viewer is aware that the larger context exists but is visually led to confront the boundary-less-ness of both the image and the reality of the landscape being represented. The viewing stance, or entry, into each scene, is an essential component of Giovan's photographs. 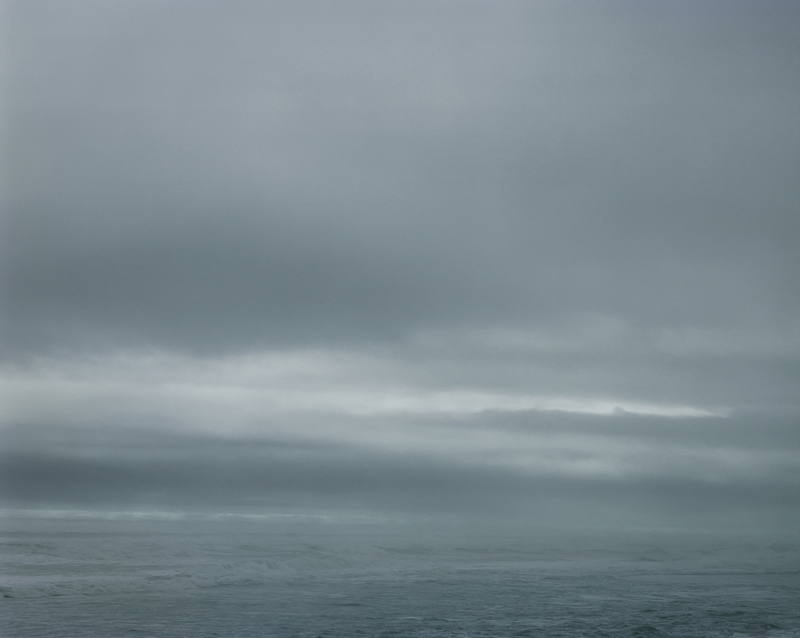 In each image, the artist frames the question of how the viewer positions himself or herself in relation to the elements, asking "where are you" when looking at or when in a landscape. Sand Bar Wave Summer 2006 provides a central, traditional entryway into the pictorial space: a rippling wave parts the beach, and our eyes at once are brought to the middle-ground, where a rising tide spills evenly over the sand bar toward the shore. Other works appear to destabilize the viewing position entirely, especially White Spring 2009, which depicts a row of high white waves that crash into the ocean itself. 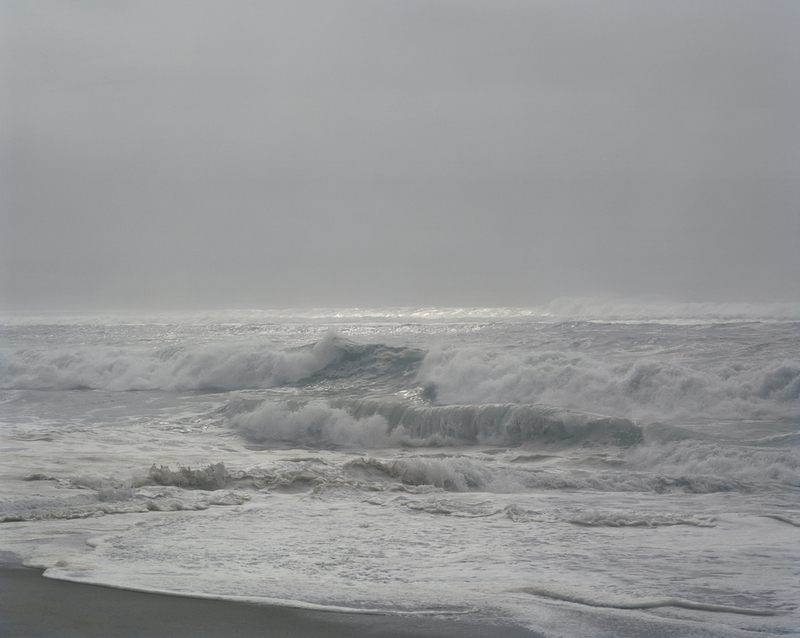 The horizon line between sea and sky is partially blocked by spray, and there is no sand visible. As viewers of the image, as of the natural scene itself, we are placed in the picture and in nature, wading in the shallow waters. By individuating the viewer's position and experience of the landscape, Giovan explores the role of landscape art and challenges the public mythologies it often promulgates. The relationship between the viewer and the seascape infers human presence in a series that appears to avoid representing traces of it. At first glance one may celebrate the Sagaponack beaches as a "natural" landscape that escapes the human impact and is affected only by "natural" forces. This is not the case: these beaches are protected by governments, conservancies, land trusts, and economically resourceful individuals who have long fought to preserve the natural - in ways that may sometimes prove to be "unnatural." In that sense, Giovan's project speaks of a new way in which one might approach the physical environment and its conservation. Nature, as it may be argued in these images, will change on its own, quietly, second by second, day by day, season by season, and decade by decade. MOMENTARY, thus, starts with a seemingly small subject, the particular moments of a particular beach, but through its relentless examination dissects the so-called natural landscape, and widens its context to include ecology, the politics of landscape and landscape art, and the meaning of the natural. Tria Giovan was born in Chicago and at age three moved with her family to St. Thomas, American Virgin Islands, where she lived for twenty years. In 1987, working in New York as a photographer's assistant, she initiated her first photographic project, Lower Eastside Interiors. From 1990 to 1996, she traveled to Cuba twelve times for her series Cuba: The Elusive Island, which was exhibited worldwide and then published as a book. 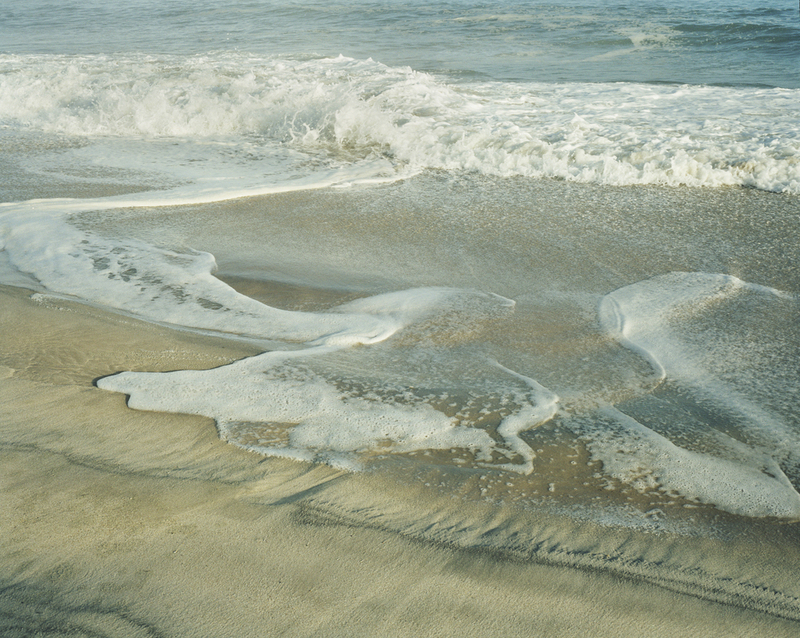 In 1999, she began photographing the Sagaponack beaches, a twelve-year project resulting inSand Sea Sky: The Beaches of Sagaponack, which won the 2012 International Photography Award in the category of nature books. Giovan's photographs have been published in Aperture, Esquire, Smithsonian, Harpers, and Vogue, and her work is included in the permanent collections of The Museum of Modern Art, The Brooklyn Museum, The Jewish Museum, and The New York Public Library. The artist lives and works in Sag Harbor, NY. The show's opening reception will take place on Thursday, April 10 from 6 to 8 pm. For further information, please contact Mara Miller, Managing Director.